This natural, handwoven rug was brought by Scandinavian settlers in the 1800’s. From an antique Norwegian chest in Northern Wisconsin. 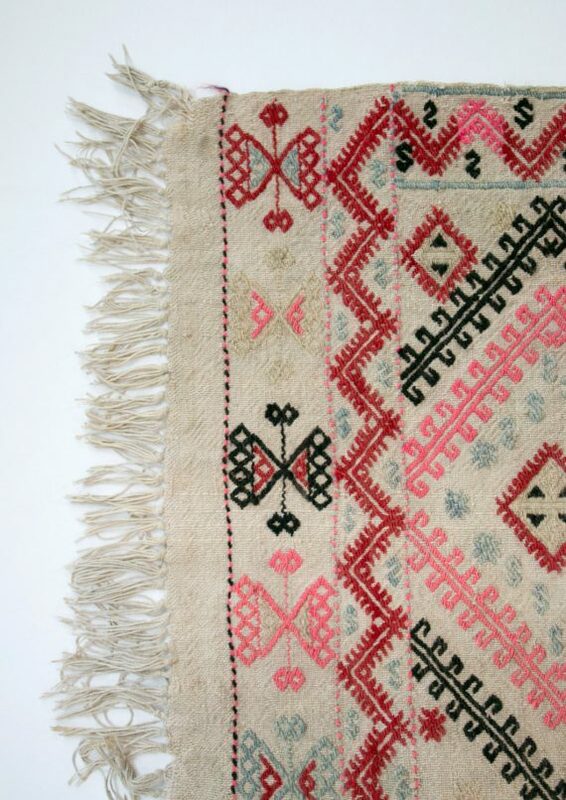 A unique and rare piece with neon pink, black, red, cream, and light blue stitching on natural wool. Probably stitched for a young person’s bed, but has many uses. 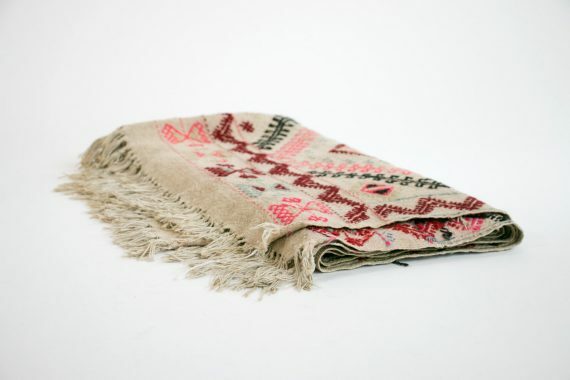 In very good antique condition with some light wear around some of the knotting, and corners. Wool is still strong and supple and is in very good original condition. 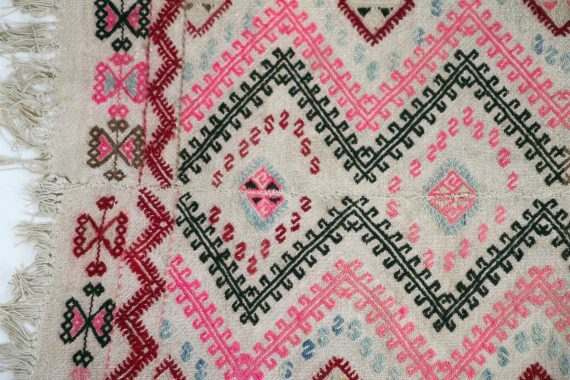 1800’s Handmade Norwegian Throw – Museum Quality – From Upper Wisconsin // Neon Pink, Red, Cream / Natural, Black. Measures 72″ x 45″. 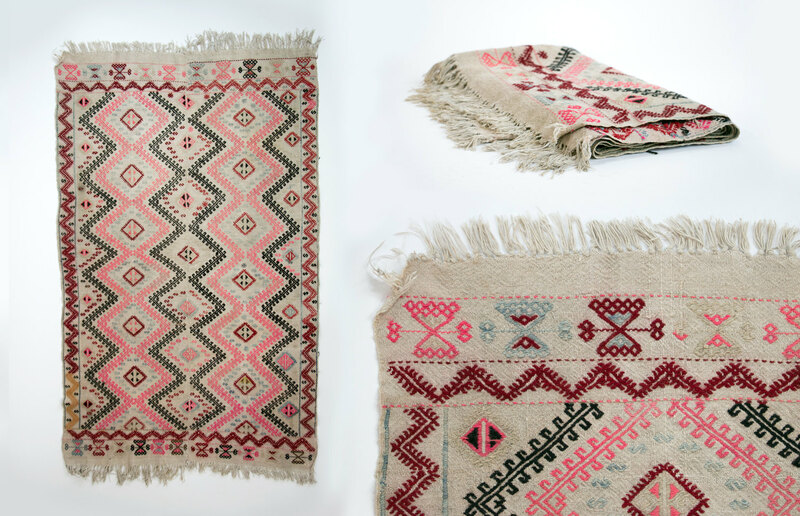 This natural, handwoven rug was brought by Scandinavian settlers in the 1800’s. From an antique Norwegian chest in Northern Wisconsin. 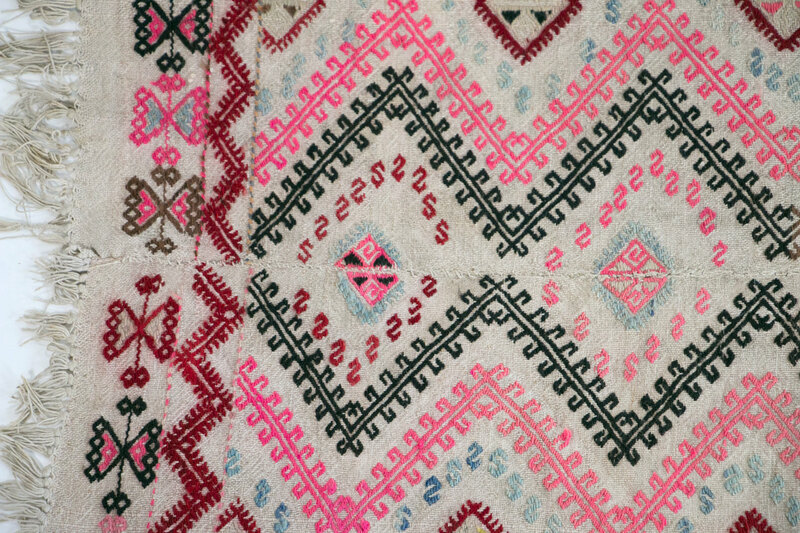 A unique and rare piece with neon pink, black, red, cream, and light blue stitching on natural wool. 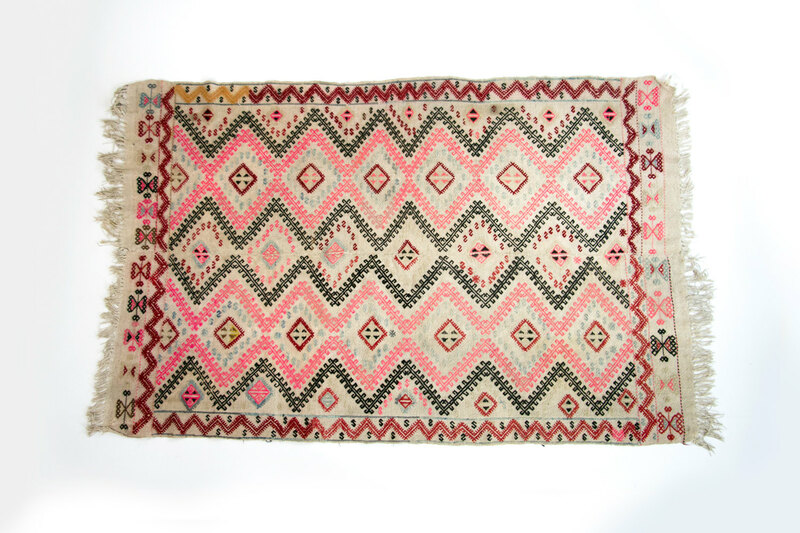 Probably stitched for a young person’s bed, but has many uses. In very good antique condition with some light wear around some of the knotting, and corners. Wool is still strong and supple and is in very good original condition. I am happy to answer any questions… Thanks for looking!